Vultures sit on a hill in Danbury, Conn., fall 2017. 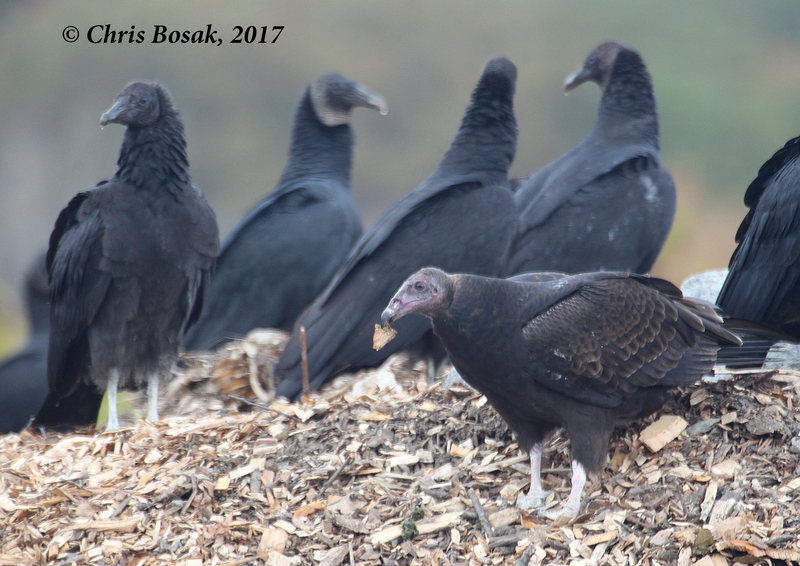 Here’s a young turkey vulture with a wood chip in its mouth (for whatever reason) as a bunch of black vultures gather behind. Taken from Wikipedia, so it can’t be wrong. Right? This entry was posted in Vultures and tagged Chris Bosak bird photographer, vultures in New England by Chris Bosak. Bookmark the permalink.